Cook 2 servings organic brown rice. In a glass casserole, liberally cover the bottom with olive oil. 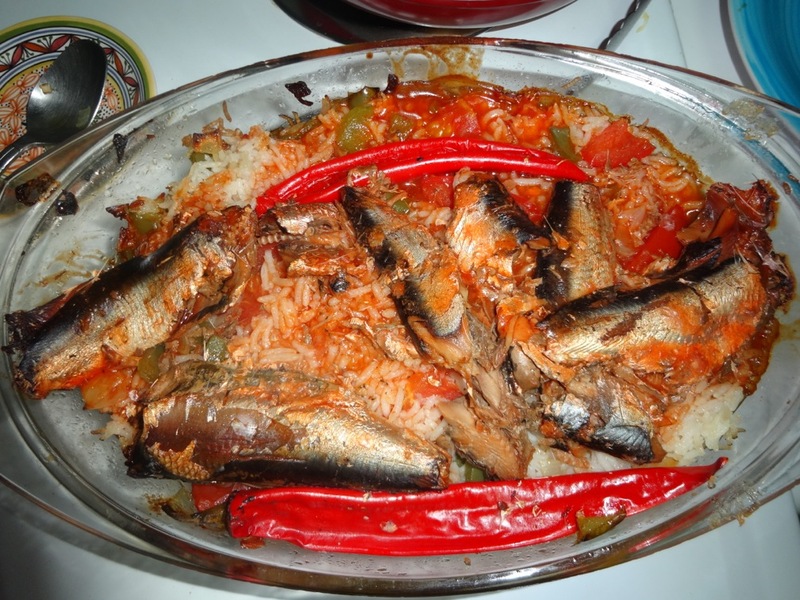 Spoon rice into the casserole, add 1/2 bell pepper, cut in strips. Use either 2 large ripe tomatoes or 1 can whole tomatoes. Cut fresh tomatoes in eights, add to the rice. Open 1 can whole sardines. Empty on the rice. Add red chili peppers for color and flavor. Sprinkle top with seasoning salt and cayenne pepper to taste. Cover and bake for 30 minutes or until bubbling at 350 degrees.